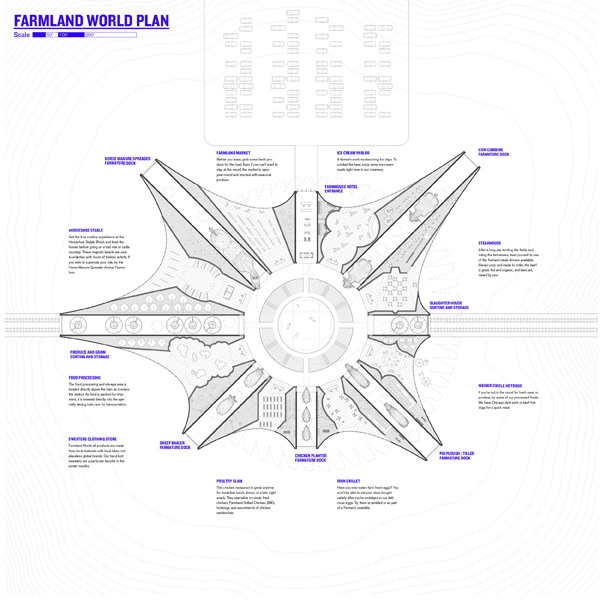 This week we’re happy to share with you a fun and exciting interview with the folks behind the fantastic Farmland World Project – Alison Newmeyer and Stewart Hicks. Together they make up the design practice Design With Company and are both instructors at the University of Illinois in Champaign Urbana. Take a look and we hope you have as much fun with this project as we did! Right now, we live and teach at University of Illinois in Champaign Urbana, a land grant university situated in the middle of Illinois. 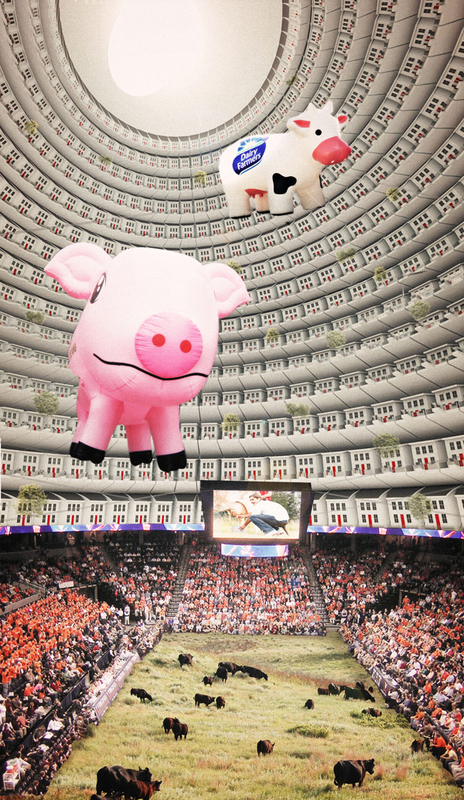 The university at large sponsors various strands of research into farm animals, living experiments that roam the land near our office. This type of collapse of the “natural,” and between humans and animals, confronts us everyday and exploring the potentials of this collapse is the basis for much of our speculative work. 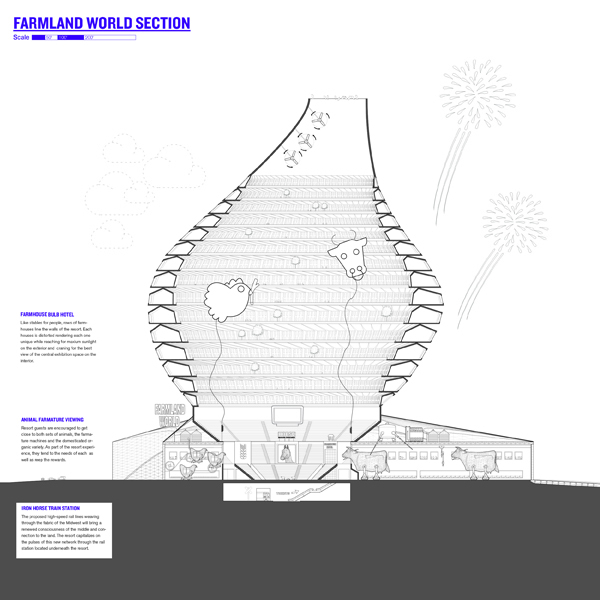 What started as an unconscious observation has turned into a passion for how these issues can be made architectural. 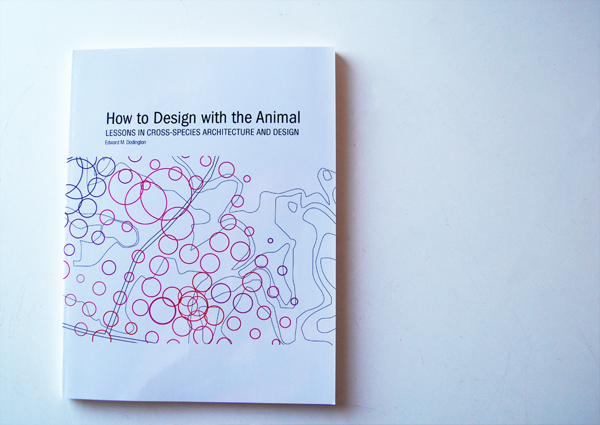 One of the more difficult problems for us was how to go from having a clear attitude and thesis about the relationship between humans and animals and making it architectural. There is no clear-cut and direct translation into architectural form, though it certainly involves architecture. 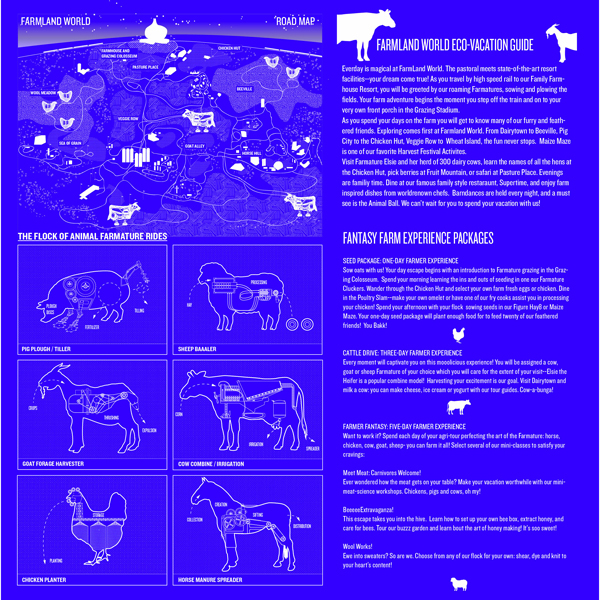 – Farmland World offers a unique new collaboration with other species, asking questions and provoking alternative species perspectives – how does your creative process begin in bridging the species divide that exists between us and other animals? Moreover, why do you think it’s important to do so? 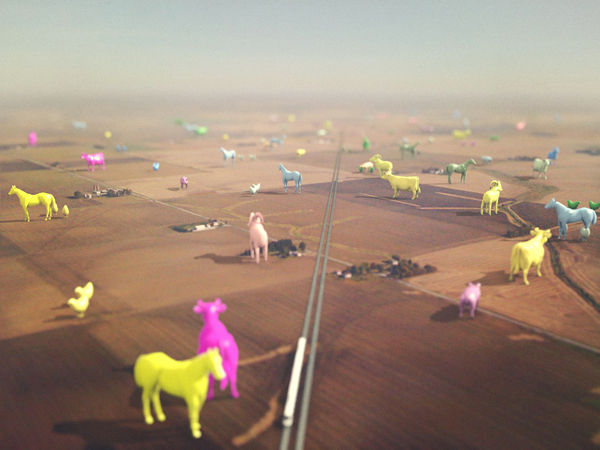 Farmland World creates a spectacle out of everyday interactions between humans and animals. It turns the volume up on the everyday, selectively exaggerating it towards the edges of believability. We are attempting to construct what Stephen Duncombe calls “ethical spectacles,” which are “imaginations, sensual experiences and even dreams that are not created by media savvy experts and then handed down to the rest of us to watch, consume, and believe, but instead spectacles that are participatory: dreams the public can mold and shape itself. They should be active spectacles that work only if people help create them. They need to be open-ended: setting stages to ask questions and leaving silence to formulate new answers. And instead of covering over or replace reality by an overscripted maze of infotainment, they should perform and amplify the truth and be recognizable. 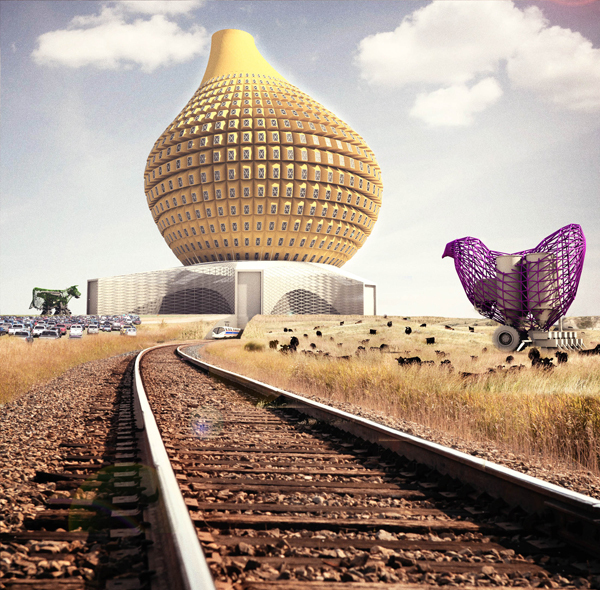 For us, technology is primarily a means for achieving architectural effects. 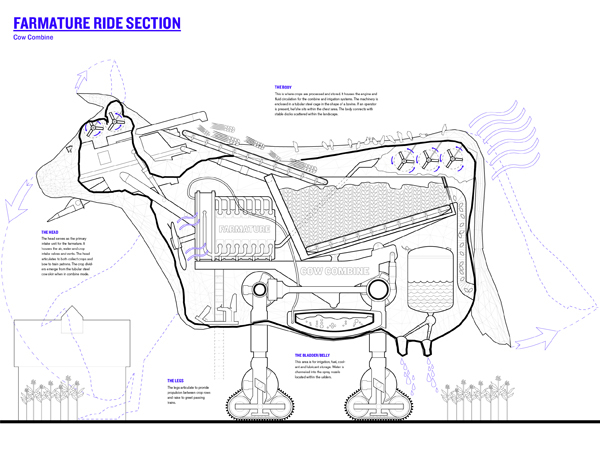 Our project directly questions the collapse of the cultural distinction between animals with machines. We approached the topic without bias; this collapse is neither inherently bad nor inherently good, but nonetheless points to a certain type of crisis when the distinction no longer matters. We invite these hybrids in technology, though we want to maintain a critical eye on the implications, making sure we aren’t kidding ourselves by burying our heads in the sand. 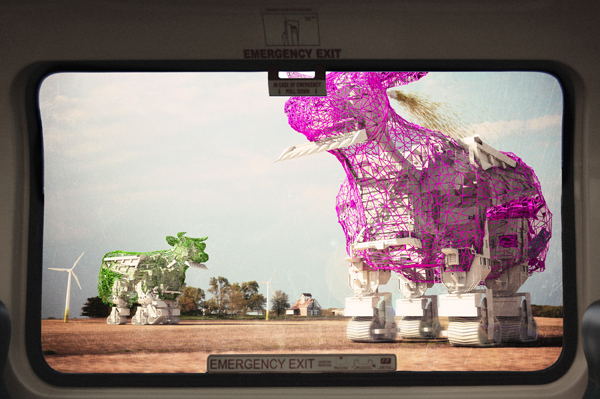 The project is primarily speculative in nature and exists through the texts and images that communicate our ideas. The reception has been positive with websites and people interested in various aspects of the project. However, some tend to miss the irony of the project which is not intended to be a “proposal” in the true sense of the word. 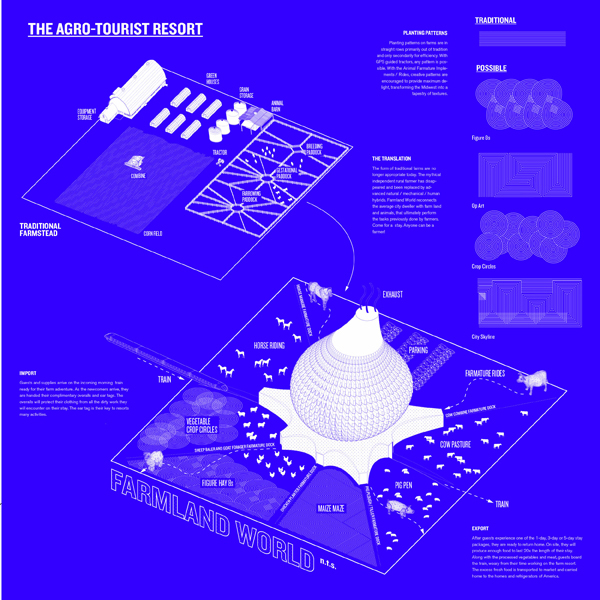 It is more like a fable, personifying aspects of nature and advancing an architectural fiction. The idea of the fable allows us to be political with being activist, moral without moralizing and speculative without being utopic. Public engagement is essential to the project. It’s a project that is meant to teach and inform the public through various interactions between humans and animals. It doesn’t merely propose a more humane architecture, it advances an argument that architecture can provide new experiences which are essential to changing attitudes towards these issues.